See previous article to understand why and what. In this article, we will see how to create our master / parent VHD and how to install windows onto this disk. To manipulate virtual hard disks on the command line, i use vmount. 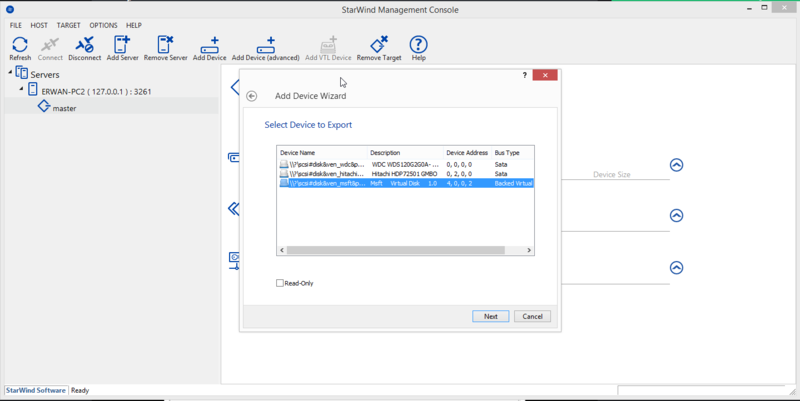 At this stage, we have a new \\.\physicaldriveX on your host which we can use within our iscsi target (using Starwind San Free). Last step, lets boot our diskless computer to install windows. To do this, I will use TinyPXE Server and iPxe. I also use QuickPE to customize my winpe (but default ms waik or adk will do as well). UEFI is more and more common on new computers. It was time for an update within QuickPE to support UEFI. Once you have generated your Windows X64 UEFI compliant iso, I suggest using Rufus to burn it to a USB key. Make sure to select GPT for UEFI as partition type and FAT32 as filesystem or else you’ll be booting in BIOS mode. This project is based on MistyPE. It’s been scaled down and developed specifically for digital forensics acquisitions. Mini-WinFE has been co-developed with Brett Shavers to facilitate a simplified method for building a Windows Forensic Environment (WinFE). -Retrieve your winpe iso in x:\Mini-WinFE\WinFE.Project.Output\. There are cases where your operating system is not booting anymore but you really need to retrieve important/personal files. You could boot a WinPE onto a USB key (using QuickPE and Rufus) to work locally on the faulty computer but you could also do it remotely, confortably settled from another O.S. 1-Lets make a WINPE out of windows (7 or 8) iso/dvd (I use QuickPE) . 2-Boot onto this Winpe (I use rufus to « burn » the winpe iso onto USB). 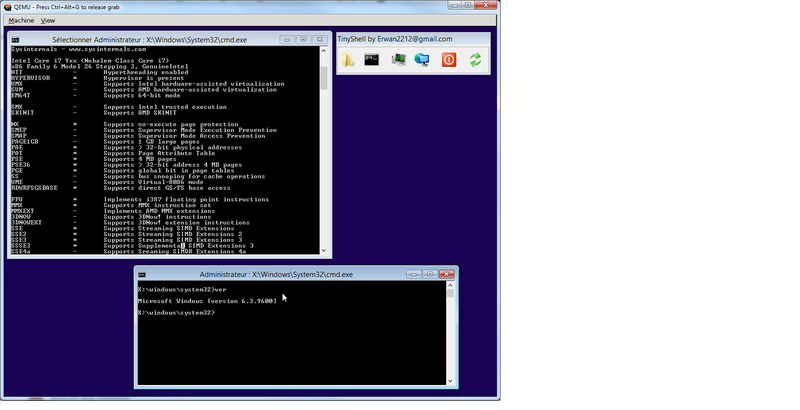 3-Launch DevIO : from the WinPE command line, type devio -r 9000 \\physiscaldrive0 1 . Note : the -r is for read only and physicaldrive0 1 for disk 0 partition 1. 5-At this stage, you should now have a new logical drive letter X: appearing on your remote host. You can now recover your files remotely ! MistyPE is an excellent WinPE generator based on Winbuilder. It is minimalist (in a way it is easy and fast to build WinPE) but still very flexible so that one can add many extra softwares in there. -Retrieve your winpe iso in x:\MistyPE\MistyPE.Project.Output\. Thanks goes to Misty on reboot.pro for making this clear ! Lately I had been testing a lot Windows 8.1 and WinPE generated from Windows 8.x (i.e WinPE 4.0, 5.0, 5.1). The Windows QEMU I had (lots of versions out there) was giving me a windows error 0x0000005d which means UNSUPPORTED_PROCESSOR . Indeed, starting with Windows 8, you need a processor that supports NX/PAE/SSE2. NX is not supported with older windows QEMU versions. More details from MS here. Googling around it appeared the solution was to use the -cpu command line parameter with QEMU. Unfortunately, none of the QEMU versions I had was supported that parameter. I then found the right (and latest) windows QEMU version (2.0.0) here. I downloaded this version qemu-w32-setup-20140418.exe. Also, note the use of coreinfo (from sysinternals) to check your processor flags. Yet another tool to generate a minimalist winpe iso using the Windows Assessment and Deployment Toolkit (ADK) / Winpe4 or Windows Automated Installation Kit / Winpe3. The batch also uses wimlib to add extra files within the boot.wim file. Alternatively, one can also use the Windows Repair Disk or Windows DVD to build a Winpe or a Windows ISO (no need for WAIK or ADK then). -create winpe iso (less than 200 MB). Uncompress to x:\quickpe, stuff your tools (optional) in pe_extra folder, and launch make.cmd.